It is not so easy to make the best choice for GPS for boat with integrated fishfinder to fit in the budget. Here on the Baltic Sea sailing and boating season is about to open. Boats are prepared for next voyages and regattas. Recently I have been asking for helping and advice regarding GPS for boat selection. I was asked for help in the past, but somehow my gpsnavigationsite.com became popular in local boater’s community, and I feel honored of increased interest for my knowledge. Questions and ask for help are mainly about How to choose the right GPS for Sailboat and Powerboat but a bit different than some three or four years ago. For instance, four years ago a friend of mine asked me to find cheapest available but durable GPS chart plotter. The navigation tool has to include updated Baltic Sea nautical maps. The equipment must be easily adjustable and fitted with all premium class features for marine GPS navigator. It was almost mission impossible as the budget was only $500. I did proper research and made a conclusion, money that was allocated for this purpose is not enough. I forget to say that Chinese marvels were excluded. I made negotiations that need to sacrifice something to fit in the budget and finally found the Simrad GPS for boat device which was good enough. I don’t remember a model but total $$ was about 470 bucks. Today almost everyone has Smartphone and boaters wants to pretend to be so wise saying, why I do need a standalone GPS as I have purchased Navionics app and my iPhone or Samsung can easily defeat all Raymarine and Garmin devices together. Rubbish! Why do I need a standalone GPS for a sailboat? The most interesting is that even those that I knew as experienced Skippers, also have started to believe it. Happily, after relatively serious persuasion, their thoughts have changed. Now, two of those brave skippers wants the very best even though the high price. They are like children who need to be convinced that money can be saved. Only you need searching and comparing, talking with colleagues, sometimes perhaps with beer mugs. Money could be spent on new sails or ropes and so on. So, here I am to research GPS navigation for HANSE 315 sailing yacht. I make the real online research having regard to the money allocated for this purpose and existing equipment on board the sailboat. Well, I have some numbers. Money expected to spend on navigation equipment supposed to be €1500. It is not enough for me to choose from. I asked my friend for some additional details. The first, have the boat any navigation electronics already installed? The answer received, all electronics have been removed by the previous owner except weathervane on mast top. I forgot to mention that echo sounder transducer from Simrad Echo sounder and wiring in place. The second question (actually I already knew an answer) was, what is the expected sailing area and activities? I mean, regattas, inshore contests, either solely recreation for fishing and sunbathing. The answer received. Everything, except ocean voyages. To be honest and, as I am familiar with his lifestyle, the primary purpose will be weekly fishing trips to Estonian Islands or a fortnight trips to Åland archipelago in Finnish waters. What I also like very much and secretly hope to join him in the future. 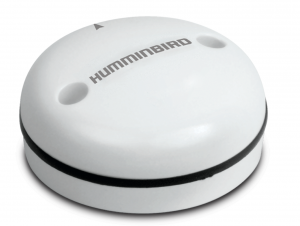 Durable, all-weather, easily removable GPS for boats with an integrated echo sounder fishfinder and NMEA connection availability, screen at least 6 inches, AIS integration, and wireless connection options. Yes, and Baltic Sea nautical charts in any correctable format. My task is to find the final decision for boat owner with estimated money calculations including shipping, customs, and other expenses. Definitely that my choices are not the best available on the market today, but there are some obstacles to choose them. The main is a significant price difference in the USA or Canada and Europe. Even more, many of my found GPS chart plotters for an acceptable price tag in Amazon.com not available for shipping to my country Latvia at all. I would like to start with well-known and more or less familiar to me brands as Garmin, Raymarine, and Humminbird. I Checked shipping from Amazon to Latvia, Free shipping 2-3 days. Great. Come without transducer, but have all NMEA and other connections. WiFi and Bluetooth connections but have some glitches with internet connection promised to be solved by Garmin. The Sum is $1862 or €1651 for Today as my iPhone currency converter shows. So, fit in the budget, but? In fact, it obviously is 21% more expensive as this product is available only in Amazon.com not in Amazon.co.uk (EU) and all goods more than €150 is subject to VAT. You may have to pay VAT, Customs Duty or Excise Duty on goods sent from outside the European Union (EU) before you can collect them. So the final expenses would be about € 1651. Out of price range. 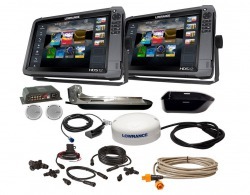 Let’s look what Raymarine offers in this price range. 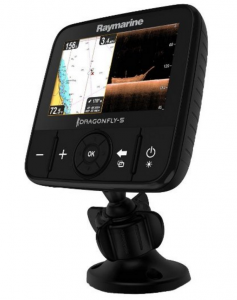 Dragonfly 5Pro fishfinder 5″ screen with CHIRP Downvision & Sonar including CPT-DVS transducer, Wi-Fi, GPS Chart Plotter & EU Navionics Silver Chart. € 657 (incl VAT) +€ 13,75 standar Shipping to Latvia. We see that Amazon.com is the lowest prices. I have a little envy to the American boys about it, but what to do, such is life. Anyway, it fits in the price range and feature list. 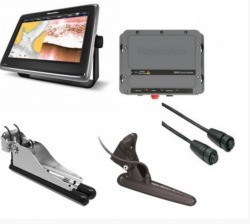 With its wide 8″ HD display and stunning resolution, the Humminbird 900 Series has become a favorite among anglers and seafarers around the globe. With a screen optimized for increased sunlight readability and 16:9 aspect ratio for easy split screen views, the 900 Series is a great choice for numerous fishing and boating applications. 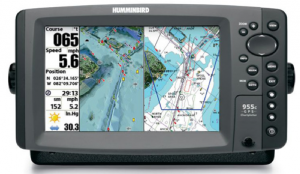 I like Humminbird Marine Navigation equipment but unfortunately, most of them not to be shipped to Latvia. This one I found almost fit in a price range and have AIS function what is essential for safe sailing nowadays. 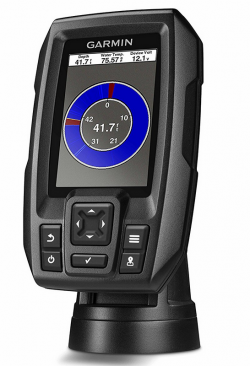 There are many other GPS for boats with chartplotters and echosounders available on the market for this price tag but unfortunately a small choice for European boaters. Chinese also produces a variety of GPS for boats like wonders with very impressive characteristics and features, but, excuse me, I have a bad experience regarding this wonderland’s electronics. I do not recommend. I forwarded my choices and calculations to the sailboat owner. I am waiting for a response. Just to say that I advised not to make the final decision before physically visit the boat. 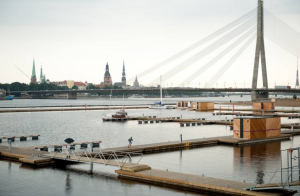 The sailboat location is Stralsund in Germany and to make the maiden voyage to Riga in Latvia, it is possible to borrow GPS for boats from colleagues and as backup use Navionics app for smartphones. Even more, as he wanted to ask me to help with first sailing, I am familiar with the navigation area. 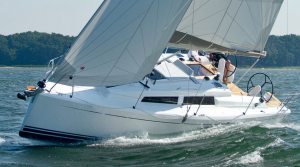 You can read about it in my „Adventurous Sea Voyage on Jeanneau Prestige 36“ posts. I hope that my research somehow could help to fellow mariners. Any comments, advice and practical help are very welcome. Previous Previous post: Get fun with Towable Tubes for Boating. No GPS Navigation Needed. Next Next post: How to Choose a Caravan Sat Nav for a Pleasant Holiday Trip? Hello Andrel, excellent and very helpful research. Thank you! 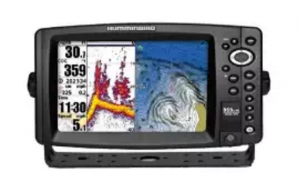 I would probably go with the Raymarine Dragonfly 5Pro fishfinder 5â€³ because of it’s affordability, but I really like the Humminbird GPS Chartplotter. It’s possible I can make the investment, but I will need to see if I can stretch the budget. Nice product recommendations all the way around. 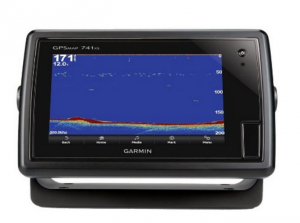 What do you look for in a gps/fishfinder? Hi, Jonathan for stopping by and the comment! It is hard to choose amongst those good brands, even more; I found a couple of Furuno GPS chartplotters which fit in my limits. Only, I have a not so good experience about this Japan brand since my professional seafarer’s years. That’s ignorant. While GPS smart phone can work in an emergency, I always thought of it as a back up and not worthy of the main navigational instrument worthy of the equipment you’re operating. I also don’t think that the most expensive is always the best. Usually, more expensive is better than less expensive, but that’s not always the case. What I think is important it “how much do I need.” Just make sure you get a unit that will provide you with all the information you require and that the unit is capable of providing accurate data. Once you get that for the best price anything else is just a waste of money. I’ve been informed that my comment is not unique. That goes for everything about the line. So please delete everything below the line. I spent a lot of time reading your entire article and I spent an additional amount of time thinking about my comment and then writing my comment. I don’t know how it is “not original” or “duplicate” because I just sat here and composed it myself on a blank screen. I didn’t refer to anything but your article to write this comment. So if someone wrote something before that was the same or nearly the same in content, then it was purely coincidental. My comment is my original work. Thanks for your understanding. Really value comment and all you wrote are absolutely true. The smartphone is the great piece of the human invention but, as you said and I mentioned on my website many times, iPhone or Samsung marvels primary task still is voice communication. All other options including GPS navigation and other location services are additional. Never, ever sail high seas with only phone navigation. Trust me, I have a very sad experience. I like it’s awesome that there are fishfinders and advanced gps devices for boaters! I find it incredible that there is a way to see the fish in the ocean below you using a gps. I once used a device like this and it was so amazing. It is also great to be able to chart your course in a gps. I wonder, does it account for current and wind direction? Thanks for this awesome review! Hi, and thanks for spending time reading my post! In fact, I know that many wealthy fishermen using GPS fishfinders to visibly spot a fish. Honestly, I do not like it. Yes, I used to use this GPS device feature, but mainly to research seabed, underwater rocks and so on. I like the old style fishing. 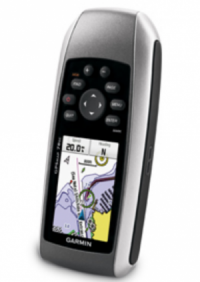 What a great review on GPS systems for sail boats. To imagine that just a short 15 years (approximately) ago, there were no individual GPS for people on roads. Now we are talking about advanced for boats and even for finding fish! Unfortunately, I do not sail, despite the fact that we recently acquired a boat for the family. I am sure such a GPS will help improve our confidence to get into the water! Thanks for sharing such and informative post! I enjoyed every last bit. It is almost impossible to imagine today’s life without satellite navigation systems. GPS, stands for Global Positioning System, is just one of many. Russian GLONASS, European Galileo (available soon), Indian and Chinese local. Many satnav equipments already use some of them together for a better performance. For boating GPS and company is the best way to stay safe and enjoy water activities.